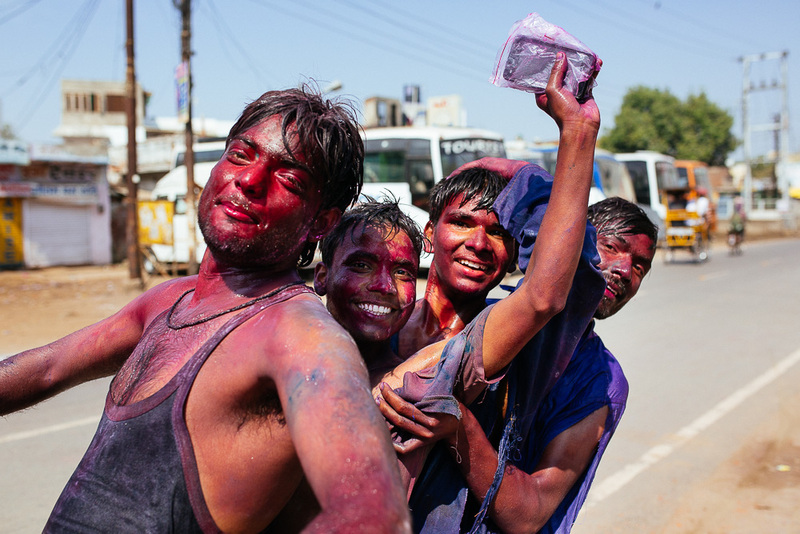 NIKOLA SMERNIC IS AN AWARD-WINNING Croatian photographer who had a chance to be in India for Holi last year, camera in hand. 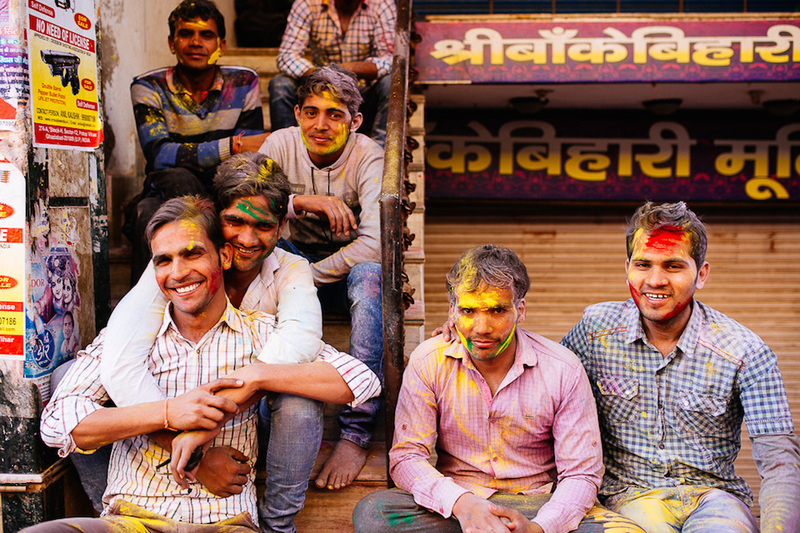 Check out these incredible images taken at street level, amidst the chaos and colors of Holi. The crowd on a way to Bakai-Bihari Temple in Vrindavan was thick and overwhelming. 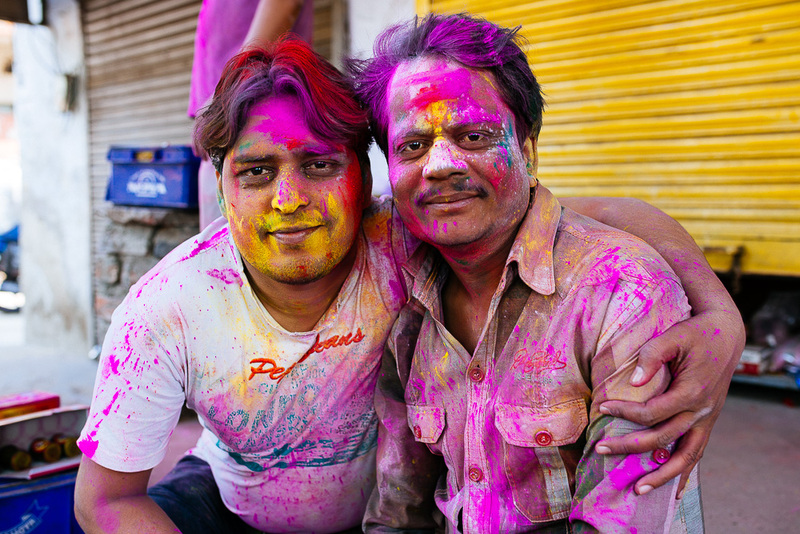 You can easily be separated from whomever you’re with and be cornered by a small group of Indians in a really good mood who will cover you in color completely, and multiple times, until they’re satisfied. After finally approaching to the temple, we realized that despite the crowds, we still needed to leave our shoes in front of the temple. As a result there was a mountain of shoes and we were amazed anyone could find their original pair upon leaving. But, this was a serious matter it seems — a few women were checking if everyone was taking off their shoes and if somebody tried to pass by with their shoes on, they’d hit their feet with a whippy stick. 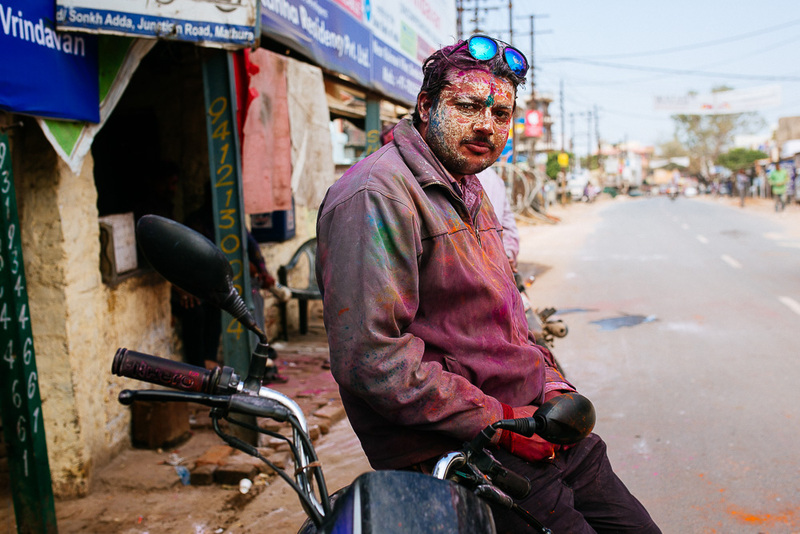 One of many Holi faces in Mathura. 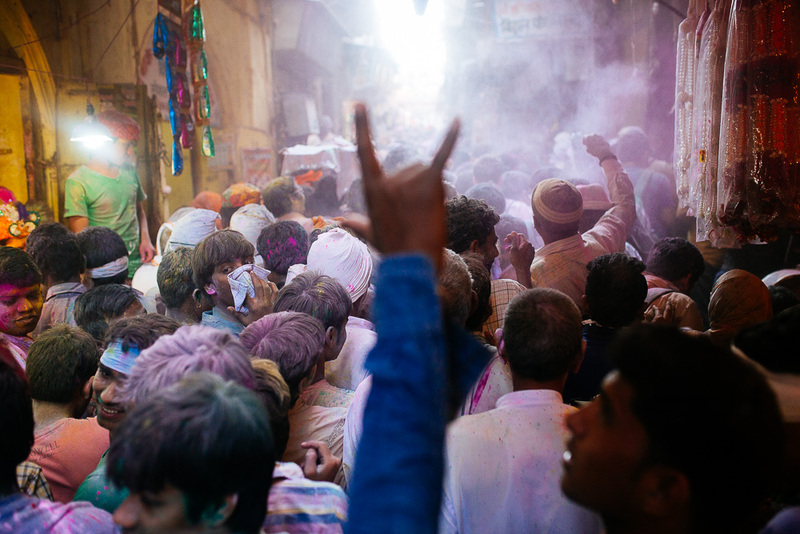 Mathura is the place to be for the main Holi celebration. It’s the city in which, in Hinduism, Krishna was born, so it’s one of seven cities considered holy by Hindus. 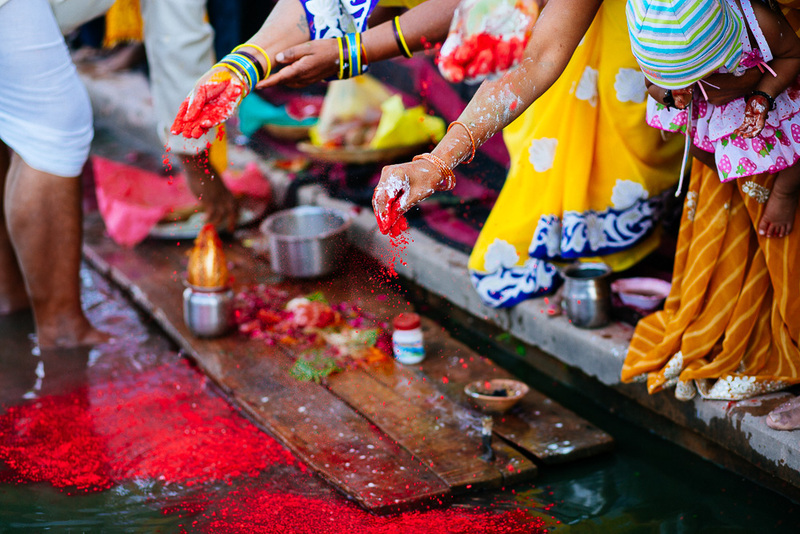 Holi is celebrated to commemorate the divine love between Krishna and Radha, and also to usher in spring. It celebrates color, love, joy, and a new beginning. This group of people — rowdy and red-eyed — was probably consuming alcohol or bhang lassi — a sweet yogurt drink that contains a form of cannabis. Both alcohol and bhang lassi are being consumed a lot by locals during Holi. It is not really tolerated the rest of the year, we were told, but people still use the “holiday” as an excuse to consume it, sometimes in excess. These two guys passed by and sprayed us with the aforementioned colored foam — it really is so hard to remove. While youth in particular enjoy the more modern forms of color — sprays, foams, and the like — the traditional recommendation is to buy and use only naturally derived colored powders, as they are not harmful when being used. Powder still gets in just everywhere — eyes, mouth, ears, and nose, but using natural colors is a lot healthier. 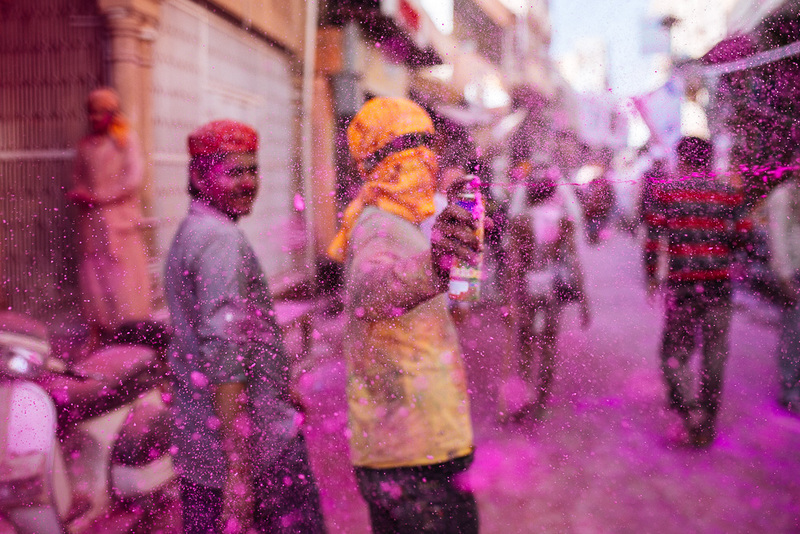 There's also the intimacy of being colored by hand, up close, rather than just randomly sprayed from afar, even if the rowdy atmosphere is part of the holi experience. 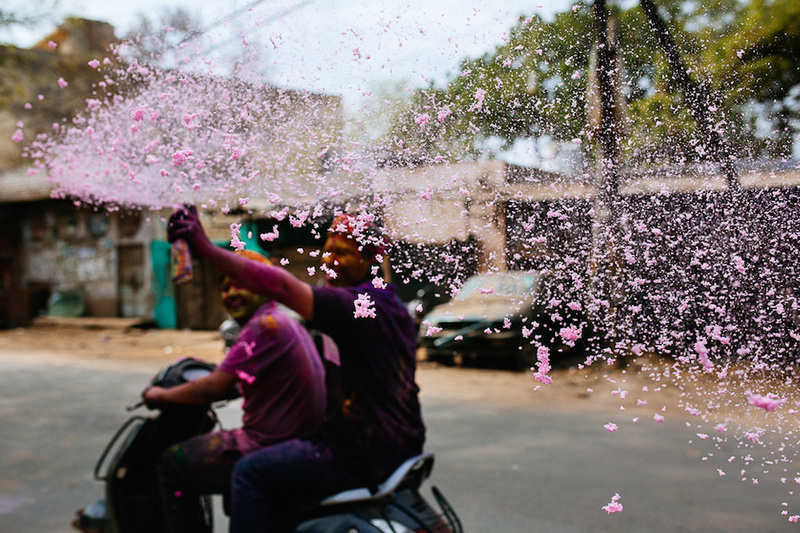 We had the honor of meeting some pretty impactful locals during Holi. 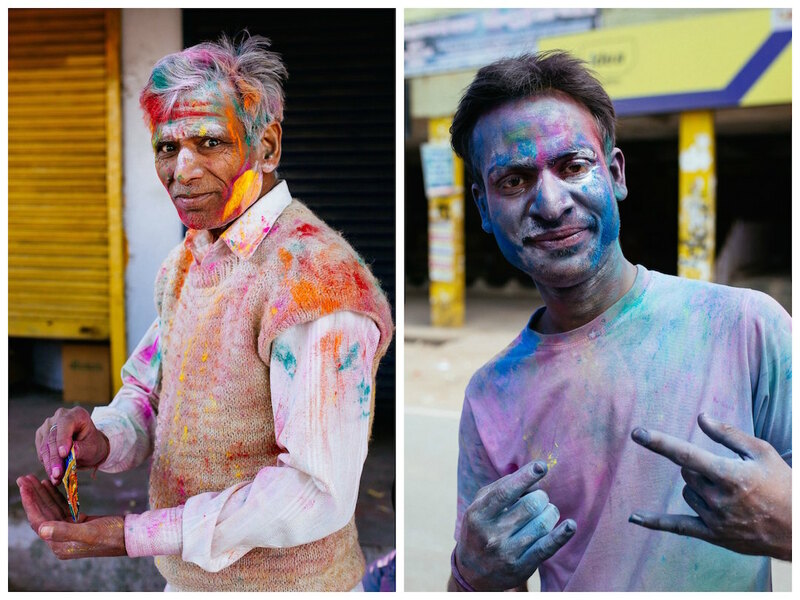 There was one man who taught us about this intimacy of the colors of Holi, and how it should be done. He's the one in the left portrait, and one of the kindest souls encountered during our trip. He taught us how to celebrate Holi respectfully and properly. He said to take a little bit of a colored powder in your hand, and then you spread it over a person’s cheeks and some on their forehead or in the hair; then you hug them and say “Happy Holi!” According to this man the way you celebrate Holi should be respectful for both sides — gently, sharing joy, anointing one another with color and blessings. For others, the events and chaos lead to an inevitable exhaustion. 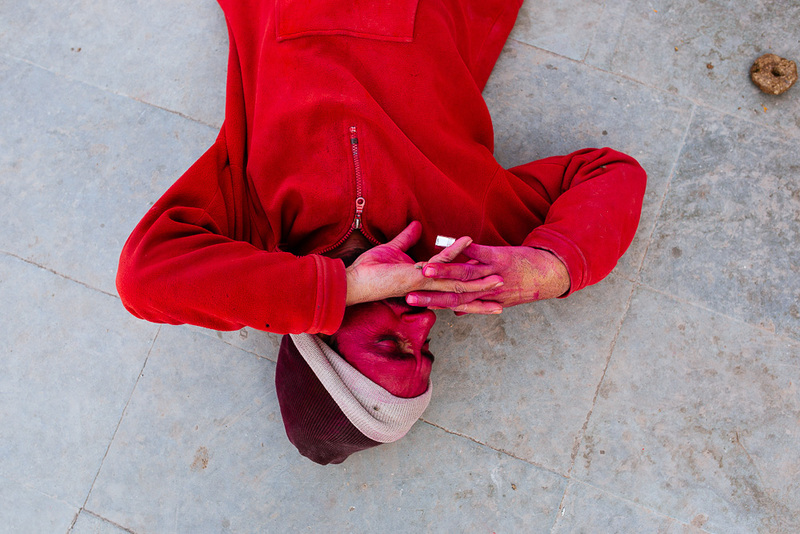 Here, a man rests in the street later in the afternoon of the day of Holi. He couldn’t be bothered by people passing by, to wake up or to move. This is the intensity of the festival. On the bank of the Yamuna River in Mathura, a noisy procession approached and the rituals of singing and praying begun. We didn’t understand much at the time but were able to watch, being the only non-Indian visitors there. The most exciting part of the whole event was throwing the colors in the river, turning the waters into a rainbow before our eyes. 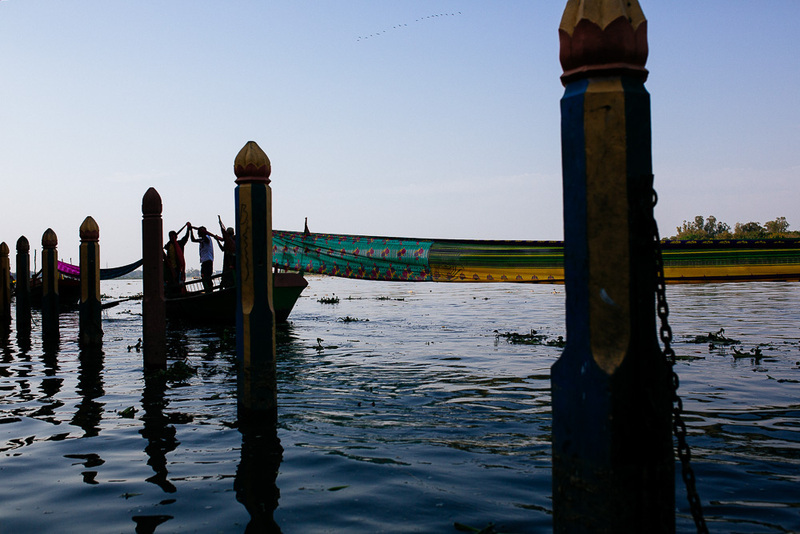 This particular ceremony finished by spreading long swaths of different fabrics and stretching them between boats that did a circle on the Yamuna River. We were among few people who were still covered in color at that time of the day — it seemed like everyone went home, perhaps for a shower and to rest. We certainly felt it was just about time for that. 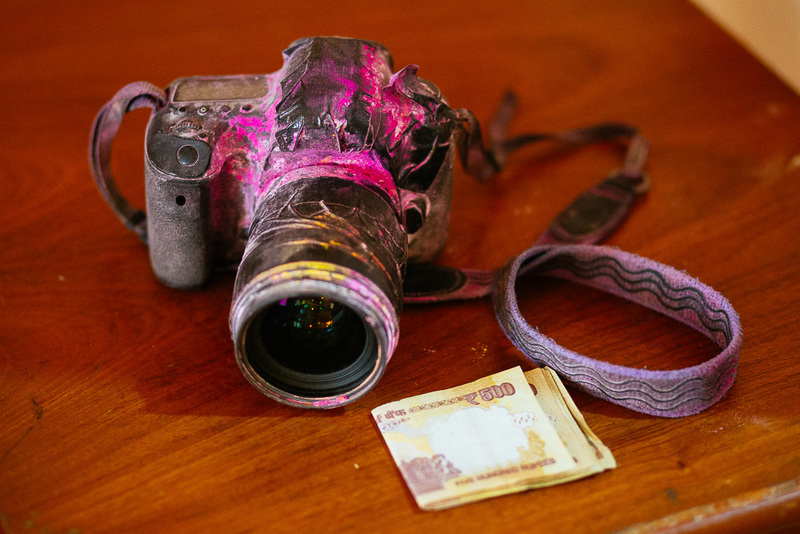 This is my camera after a day of Holi. The recommendation was to cover the camera with a plastic bag and tape it all around. As it seemed quite hard to handle the camera protected that way, I just used Duct Tape to cover the most sensitive parts. However, the color got in everywhere. Lesson learned. Even now, a year later, I can still find colored powder in hidden places.